DIRECTIONS: NJ-4 E to Forest Ave. Turn right off of the exit and merge onto Forest Ave. 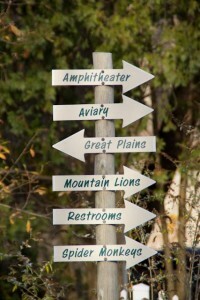 Entrance to the park and zoo is approximately 2 miles down on the right. 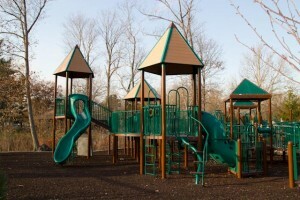 DESCRIPTION: Van Saun Park is one of the largest playgrounds we’ve been to. There are 4 different structures with one being bigger than the next. 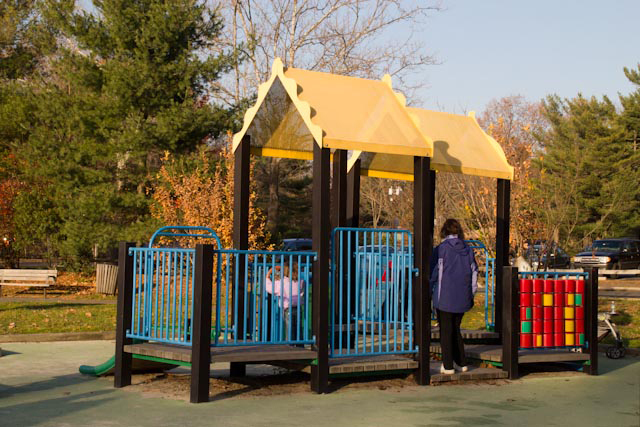 The latest edition is an inclusive playground with handicap accessibility. 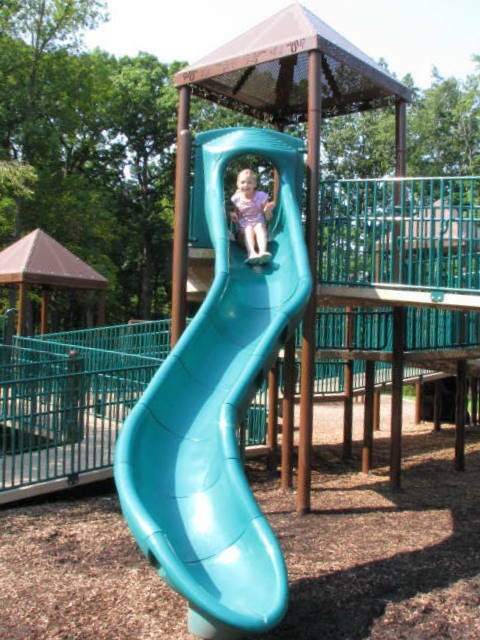 The two larger structures are tall towers full of ramps, bridges, tunnels, slides, and playthings all along the way. There is two areas that are designed for toddlers, one is smaller than the other. This is a great playground to plan to spend the day with a picnic and a play date. HANDICAP: The entire new section is handicap accessible. There are ramps to every level and playthings along the way. 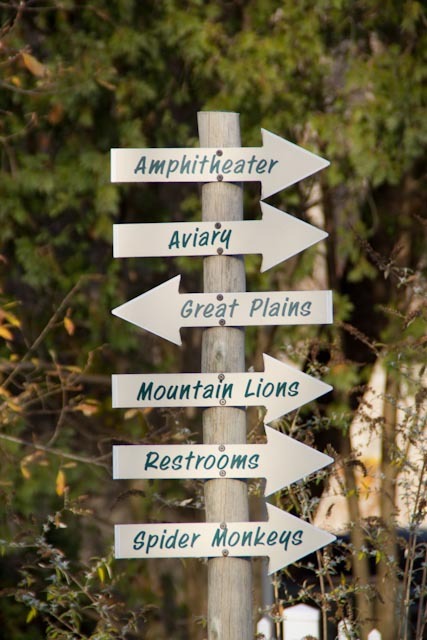 There is one handicap swing..
MAKE A DAY OF IT: A simple walk across the street brings you to Van Saun County Zoo where there are tons of animals to see and a train to ride. 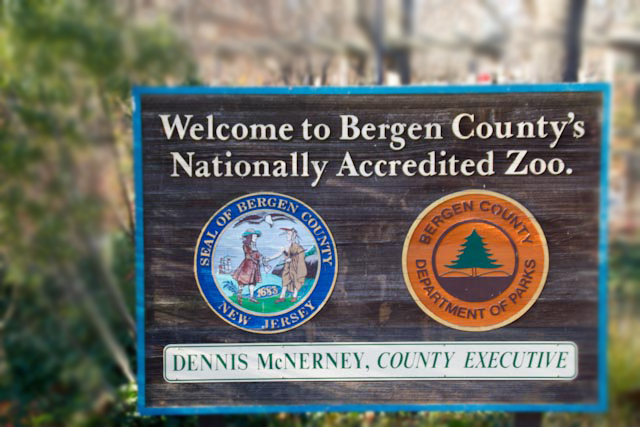 Stop by the Zoo office and inquire about becoming a Zoo member through Friends of the Zoo. 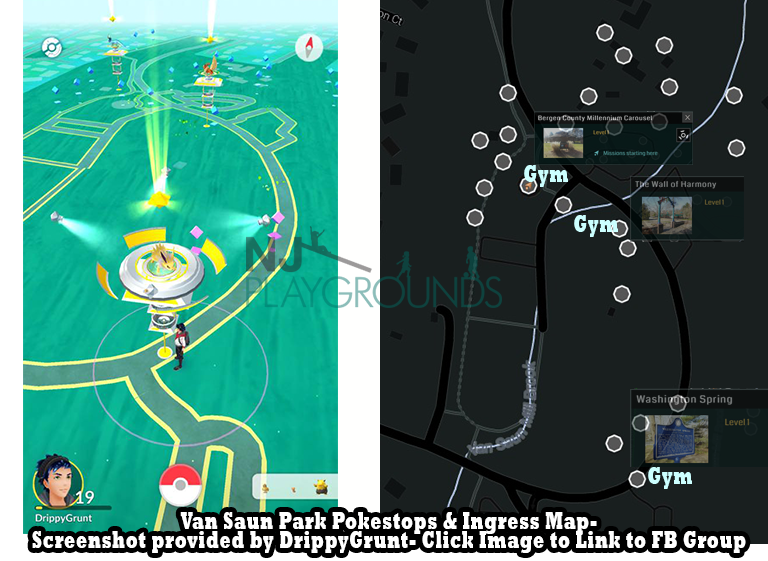 POKEMON GO at Van Saun Park UPDATE: 3 Gyms here, see our map, thank to Donny (DrippyGrunt) for providing the pokemon map. Van Saun Park Pokemon Gyms- Pokestops are the gray circle objects not marked Gym. 3/4/2011- Another Update- Adding some photos contributed by Pictures by Joel, a great sponsor, who visited a few months back. Thanks Joel! One of the favorite attraction at Van Saun is their zoo. 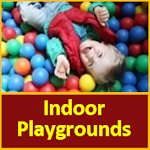 We have visited numerous times and the kids always have fun. 5/30/2009- Update, Van Saun Park is half renovated, there is one section that is ADA accessible (above panoramic photo), and the old part of the playground is still open too(photos below panoramic of old one too) Some pictures are from Amy Lamperti’s playground guide. My parents love taking the kids to this park, a classic park that’s been there forever.. Thanks Mom and Dad for getting these great pictures! Do you like playgrounds but not the crowds? Here is a hidden treasure not too far from Van Saun in Hackensack, but only open after school hours. 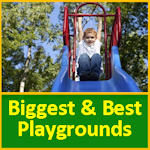 and if you just want the Biggest and Best in Northern NJ visit our map of 5 star playgrounds. First off let me say how great this site is. 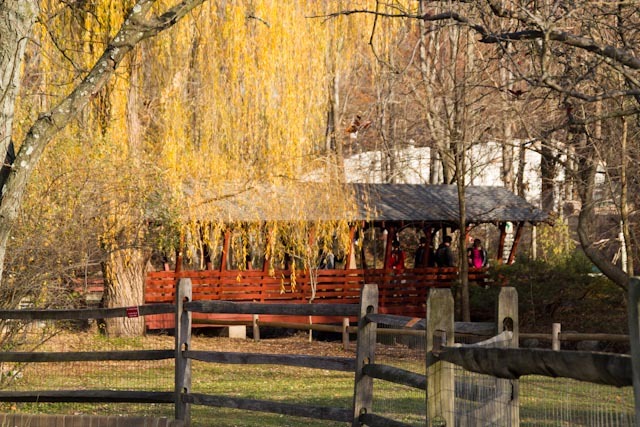 The Zoo is open 365 days a year (weather permitting) from 10 am – 4:30 pm. What a great site. I used to live in the area and coming to visit relatives with my 2 year old. Thanks so much for the up to date extensive info. We plan on heading to Van Saun tomorrow, which is a Wednesday. I tried calling he numbers above, but they aren’t working anymore. I hope the carousel and train are working tomorrow!! Has anyone else gone on a Wednesday and had that problem?? Wonderful park, easy to go and send an entire afternoon. 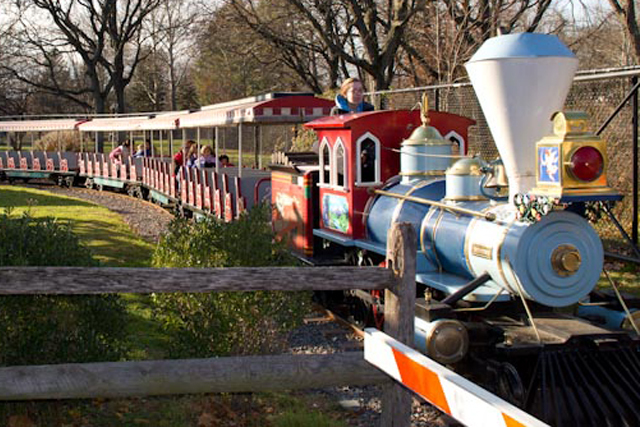 We love the train and carousel, it gives us something different to do than just swings and slides. I wish it was fenced in more. Tried to go to the zoo Friday. 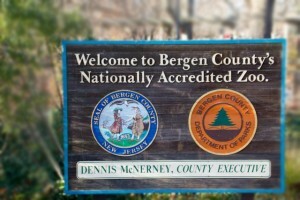 I am not from Bergen County and was shocked at how much they charged to get in. The picture above must be quite old because it was 8.00 per adult and 5.00 per child. That does not seem like a lot but considering the zoo is so small it’s a ridiculous fee. There was no way I was paying that. We ended up going to Turtle Back instead and it only cost 4.00 more to get in. 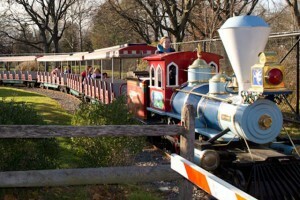 It is a much larger zoo and the train ride is free. Not to mention is was much less crowded and it’s so much easier to park there. I will never go back to Van Saun. Not at those prices. I’ll stick to Turtle Back. 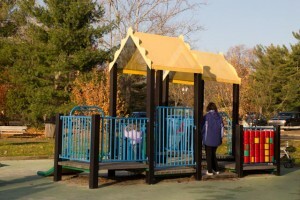 After taking my kindergartners for 6 years (never more than 20 kids), this year I learned from a friend that they had changed the rules and fees to the park. The worse part is that I found out after our bus was paid and the kids ready to go. I called and tried to reason with a very uncooperative person that we were a group smaller than 25 and we just wanted to see the animals. Besides we were not going to participate in their educational program. They told me that no matter, I needed a permission asked 3 weeks in advance and pay 50.00 for the group plus 5.00 for each child for admission.By the way we are covered by our district’s insurance so, it is not their liability we are talking about. I believe this is excessive! 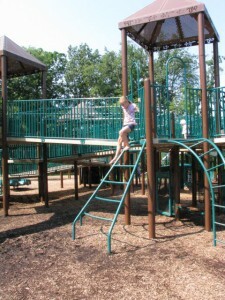 My kids live in a neighborhood where there are no parks nearby to exercise and breathe some fresh air. Don’t they deserve the NJ parks as well? With those fees will be impossible to take them again. 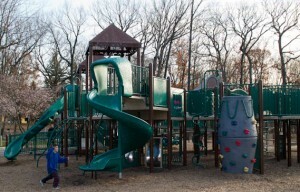 This park was and still is awesome. We haven’t been there since our kids were small (in the ’70s) but it looks like it’s just as much fun as ever. If we ever get back up north, Van Saun is gonna be our first stop! 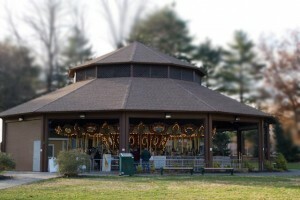 I have always love this park but I havent been there in a while bcuz my children are all grown up but I wanted to take my granddaughter but it seems that prices have gone up, I am affraid to go now…Well, I guess I will have to go and see for myself, after all my granddaughter deserves that and more. Its ashame thou that they didnt accomodate the teacher and her students! I was just wondering if anyone planned or has been to a bday party here before? Is this allowed? I want to have my daughters 1st bday party here but don’t know if it’s feasible…. Van san park is my favorite on-location dog photo shoot place. It has so many interesting parts to it and unique structures. 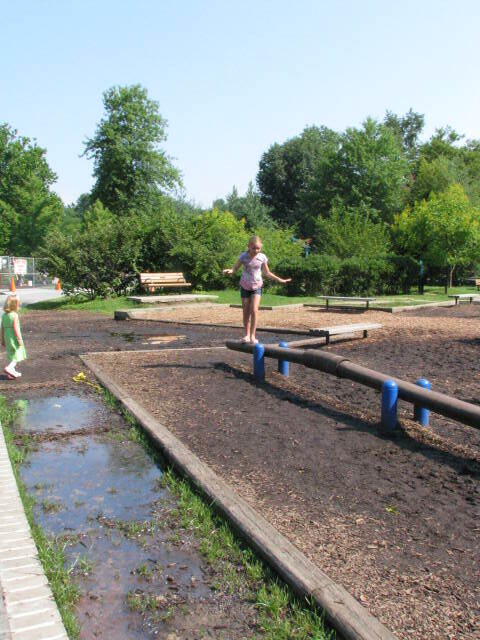 Does anyone know if this park has a sprinkler/water play area? Hi, Is there ice skating this winter at Van Saun pond? I have very fond memories skating there as a child and would love my kids to do the same. I have a compost, that I would like to donate, if you would need one. I live close by and can deliver it to you. Let me know if you would want it or if you know of any other nature conservancy I can give it to. 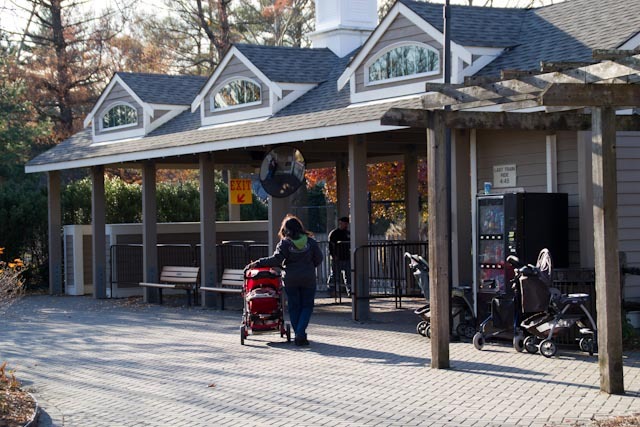 The park and zoo are great! However i was very disappointed and disgusted by the shape of the bathrooms. They were very dirty , especiallt the one in the education center.